Students with a 3.0 GPA may join Phi Upsilon Omicron Honor Society and apply for scholarships through the association. The YMA Fashion Scholarship Fund offers competitive $5,000 scholarships awarded to the best students around the country. Departmental scholarships such as the Elaine Polvinen Scholarship and the Marion T. Swenson Scholarship are also available and are typically awarded at the end of every school year for the following year.  Additional scholarships are awarded through the Buffalo State College Foundation.